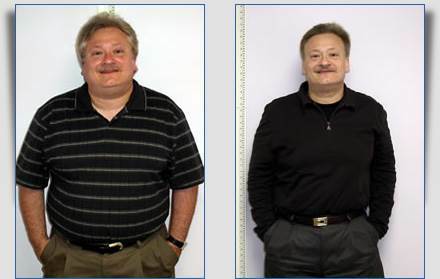 I came to Institute for Weight Management in June 2006, feeling like my weight had gone out of control. I could not lose the 50+ lbs I needed to lose with a regular diet, though I tried for months. Unfortunately, I would lose 5-10 lbs, only to gain it back. Before I began the program I met with Dr. Chhabra , and felt that I finally came to the right place. Dr. Chhabra, Susan and the staff at the Institute for Weight Management have offered a tremendous amount of personalized help and support through the entire process. Support is critical to anyone struggling with weight issues. It’s clear that this is an office which understands the individualized needs of those coming through the program. Also they make every effort to discuss and monitor your progress along the way to accommodate any special needs or problems that may arise. They also encourage you to think and plan past the initial weight-loss phase. Till now, I have been able to lose close to 60 lbs, and even continue to lose. I am going back to food from a full-optifast program. I have been able to cut my cholesterol medication to a very small amount. Recently, I had my yearly physical which showed tremendous improvement in my overall numbers since last year. I had sleep apnea and used to have to use a CPAP machine which, I haven’t used that for months. I have renewed energy to do so much more than I was able to do 6 months ago. Dr. Chhabra made it clear to me at the start that Optifast would be an effective tool to help me get the weight off – which it has – but that I would have to make changes in the long run to keep the weight off. It does not end here with losing the weight – the staff here is dedicated to helping patients not only lose the weight, but to develop a plan for keeping it off. They offer a weekly support group, which has really helped me to keep focused and on track, even at times that I feel challenged – all of this makes a tremendous difference. I know I can keep coming even after I reach my ideal weight, and that’s a big help.